When you hear of the Kansas Jayhawks you immediately turn your attention to basketball. 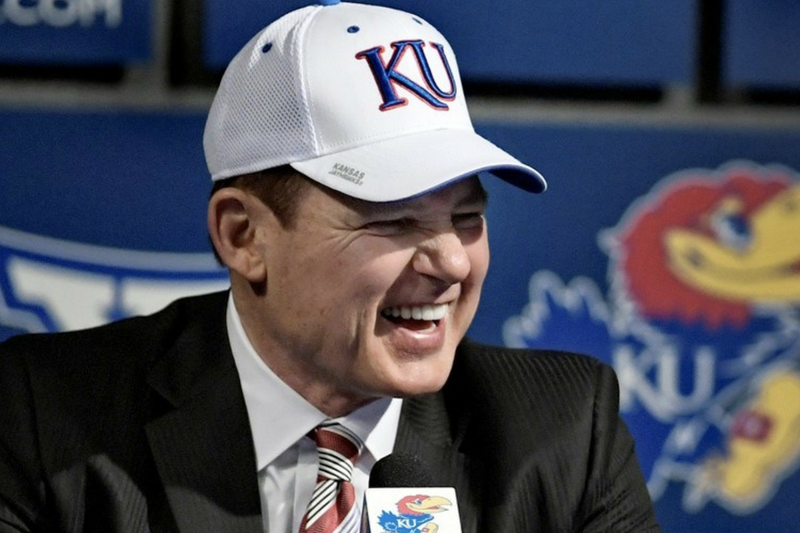 Well now, Kansas might be a force to reckon with on the football field as well as their new head coach is former LSU Tigers head coach turned actor (didn’t know he acted go to YouTube), turned back to the football field Les Miles. And on Friday Kansas released a video of Les Miles calling Rick Ross to come perform in their spring football game under the lights.